Snarky Geeks Episode 149 - ...Paying the Piper! 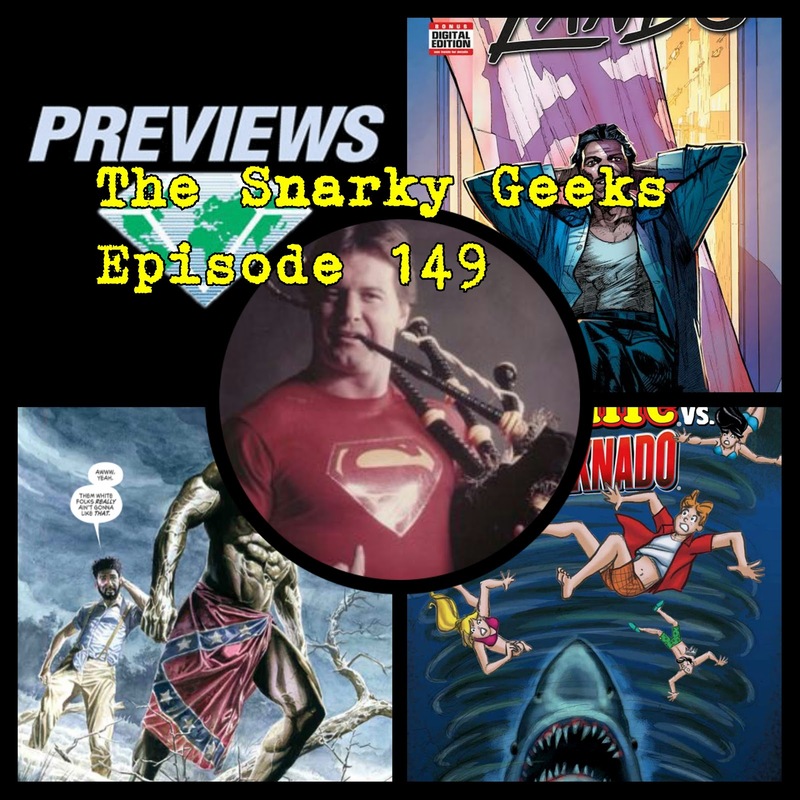 These Snarks pay respect to the Rowdy Roddy Piper, Then some wrestling talk commences, Faction sizes, Dana White's comments on wrestling, Then some comic reviews, Archie Vs Sharknado, Strange Fruit, Lando, then they go over their picks from the Diamond Previews for October, and the Sorry-List! .... you really have to listen to the whole show!